AKA: Never Surrender; Lest We Forget; Hangmen Also Die! Even without any knowledge of the real-life complications, confrontations or compromises that comprised the offscreen push-and-pull power struggle of director Fritz Lang and his co-scripter Berlot Brecht on the 1942-43 production of their fact-based WWII passion project, viewers are able to sense clashes in tone, style, structure and character just by watching this – the final result. Dubbed Hangmen Also Die by a quick-thinking secretary who garnered a hundred dollars and a place in motion picture history for her clever suggestion – as it turns out, even the question of what to call the work divided Lang and Brecht’s sole collaboration, ultimately resulting in the latter never making another hands-on picture in the United States. Restored for Cohen Film Collection Blu-ray by Pinewood Studios and the British Film Institute (BFI), the legend of the Lang vs. Brecht title fight is in all reality just the tip of the iceberg of what amounts to an impressively made if disappointingly uneven tale of World War II suspense. 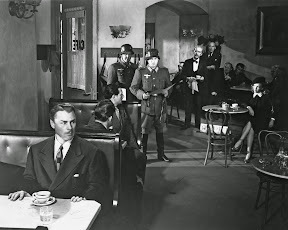 An anti-Nazi epic all the same and one given double the air of authenticity considering that it was crafted by German émigrés who’d fled Hitler’s stranglehold on their homeland during the time period, Fritz Lang had intended Hangmen to be another one of his efficiently executed, crisply-paced Noir thrillers. 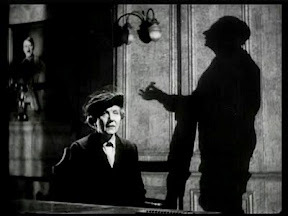 With this in mind, the Austrian born director drew on both his personal and professional background as a German expressionist master craftsman who’d helped define the look of the Noir genre (in classics like Metropolis, M and Fury) along with the shadow heavy cinematography by legendary lensman James Wong Howe (Sweet Smell of Success). Unfortunately by swinging like a pendulum around a large number of characters on both sides of the Czechoslovakian Resistance’s assassination plot to take out Moravia “Hangman” and Deputy Reich-Protector of Bohemia Reinhard Heydrich, Hangmen Also Die loses the taut rhythm and breakneck pace that grabbed hold of us in the nail-biter of a beginning. Gradually getting bogged down by endless speechmaking, instead of the terse, suspenseful thriller Lang had intended, ultimately we're left with an overly-long message movie that’s far too light on tension. 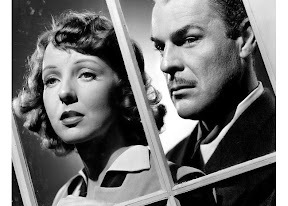 And unfortunately after such an ambitious first act, Hangmen loses its steely focus on a core group of Czechs who have to improvise after part of their plot collapses and leaves the assassin without a getaway car. 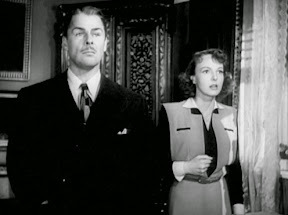 For what started as a cat-and-mouse espionage movie (wherein everyday citizens must ask themselves how much they’re willing to risk and/or sacrifice when threatened by the Gestapo) soon begins to veer off in too many directions. And this misstep escalates – magnifying the film's flaws – thereby making the already lengthy 135 minute work (which adds in an extra minute of previously unreleased footage) feel as long as Brecht’s original 280 page draft. 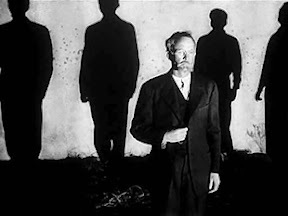 Whittled down to 190 screen-minutes by three additional writers and translators (all with different styles and interests in where they wanted to story to go), when added together, Hangmen had at any given time as least five storytellers assigned to the same overcrowded, undeniably complicated personal project with each one on a completely different page. Needless to say, you're left with a prime example of too many cooks in the kitchen without a head chef corralling all the ingredients into one recipe. And as such it’s easy to understand why the film collapsed under the weight of a structure that's constantly shifting like a foundation after each new earthquake-like rewrite by talented scripters (including Angels With Dirty Faces scribe John Wexley). 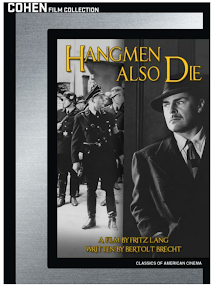 A nonetheless worthwhile find for Lang fans, especially given Cohen’s lush restoration, Hangmen also offers a decidedly unique look at a different part of the war by focusing on brave, unsung Czech heroes who were willing to lay down their lives if it meant they were able to put the Third Reich’s notorious hangman in a literal or figurative noose. 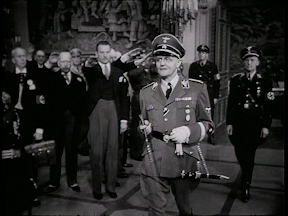 And this goal clearly helped the film strike a chord with western audiences in its 1943 release as U.S. and British viewers (many of whose loved ones were fighting overseas) were only too happy to stand up and cheer for the demise of Hitler’s regime, which had forced so many artists like Lang and Brecht to leave their ancestral home.